It’s a handsome volume, whose contents provide a level of cross-cutting conversation that, I think, is rare among edited collections. Catherine Tucker did a fabulous job editing it. She and I co-wrote the introductory chapter, which can be read here. 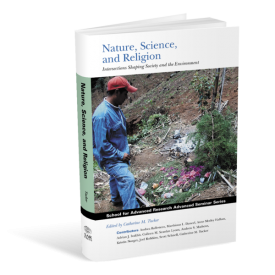 I don’t yet have an electronic version of my closing chapter, “Religious (Re)Turns in the Wake of Global Nature,” but I’d be happy to share a pre-publication version of it upon request. An excerpt of it can be found here.